Price Reduced. 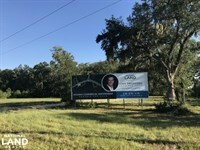 Commercial lot with plenty of investment potential at the high traffic intersection of Us-17 and Interstate 95 exit 33 to Charleston/Beaufort. 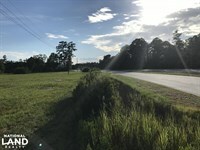 This 0.8 acre lot is right next to gas stations, hotels, and restaurants, and is located immediately off of the interstate in a high visibility area. Traveling on Interstate 95, take exit 33, which merges onto US Hwy 17 N, towards Beaufort and Charleston. Take the first right onto the frontage road. The property will be on the left past the Shell gas station and other commercial businesses.